Since April is Adopt-a-Greyhound month, it’s fitting that the Beading Divas to the Rescue sell bracelets for Greyhound Support Transport. Greyhound Support Transport is located in Florida where there are still 13 dog tracks operating. This group hauls retired racing greyhounds to non racing states and Canada, so the dogs can be placed into adoption groups in states without race tracks, where the supply does not override the demand. Greyhound Support Transport’s most recent haul was to Oregon. 36 dogs are on their way to finding a new life, a second chance. The cost of this haul was $5,250.00. Greyhound Support Transport has an ambitious schedule. They want to haul dogs to non racing states every six weeks. Their next haul will be to the East Coast. 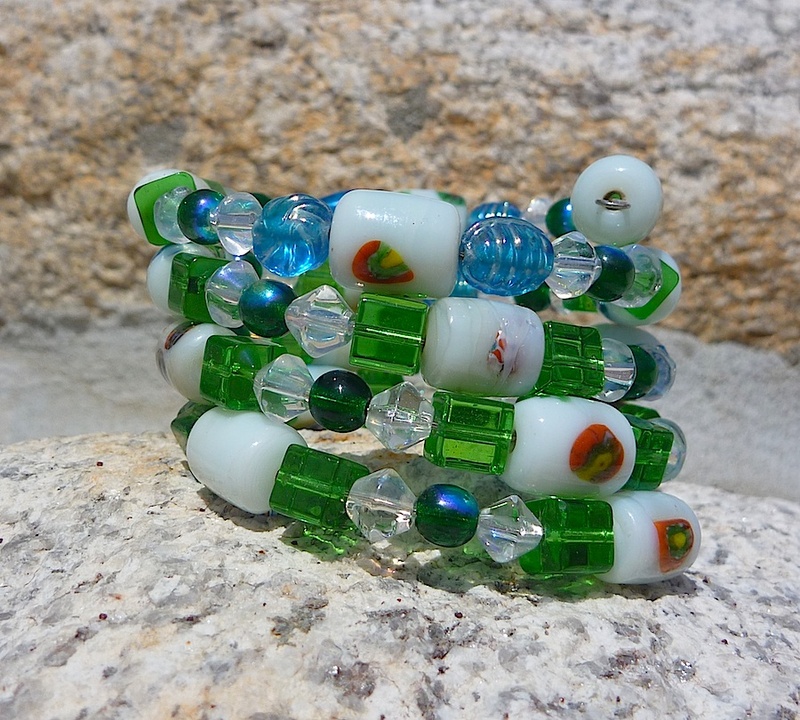 For Sale: Coiled bracelets are one-of-a-kind, handmade from donated beads. One size fits most. Bracelets cost $20 – all this goes directly to GST. If you buy a bracelet online at Lizzie Stardust / Etsy.com, please add $3 for shipping & handling/US, or $4 Canada/elsewhere. If you are not into bracelets (they make great gifts), consider sending a donation directly to Greyhound Support Transport and help get those retired racing hounds out of Florida.